Put your pasta on to cook as per the packet’s instructions but allow 5-6 minutes before it’s cooked to begin preparing your garlic mushrooms. In a saucepan, add a good pinch of salt in the pan as you heat the oil and melt the butter. When the butter’s melted, add your sliced garlic but keep your hob on medium. Tilt your saucepan sideways and keep spooning the butter/oil over the garlic in a corner of the pan. You’re basically gently frying the mushrooms for about a minute until they go golden (but not brown and burnt). When your garlic’s a lovely golden brown, whack the heat back up to maximum and add your mushrooms and toss evenly so all of your mushrooms are coated. If your mushrooms are older, they might soak up all the oil and butter but fresh chestnut mushrooms will probably release quite a lot of water. Keep frying the mushrooms for a few minutes and add your worchestershire sauce and parsley. 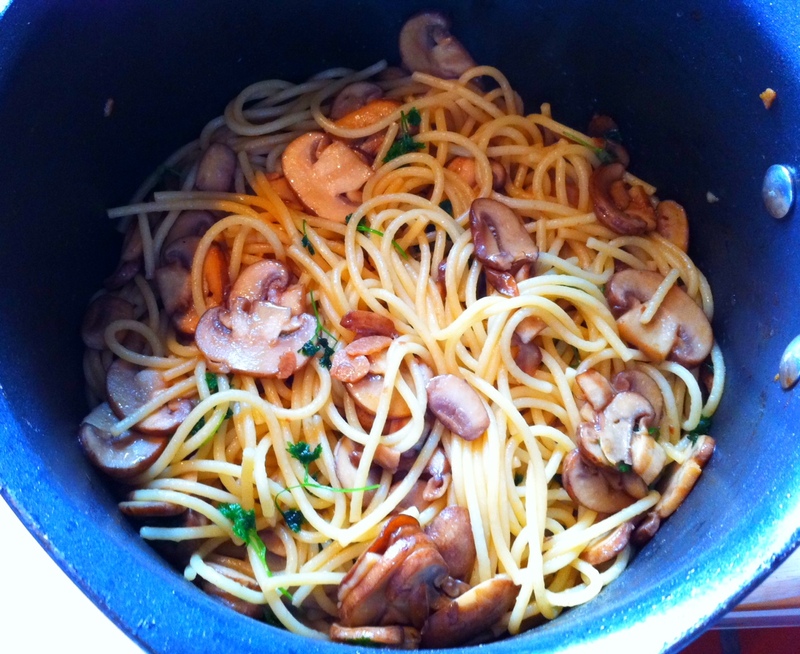 When your pasta’s cooked, drain your pasta and toss this into your saucepan with the mushrooms. 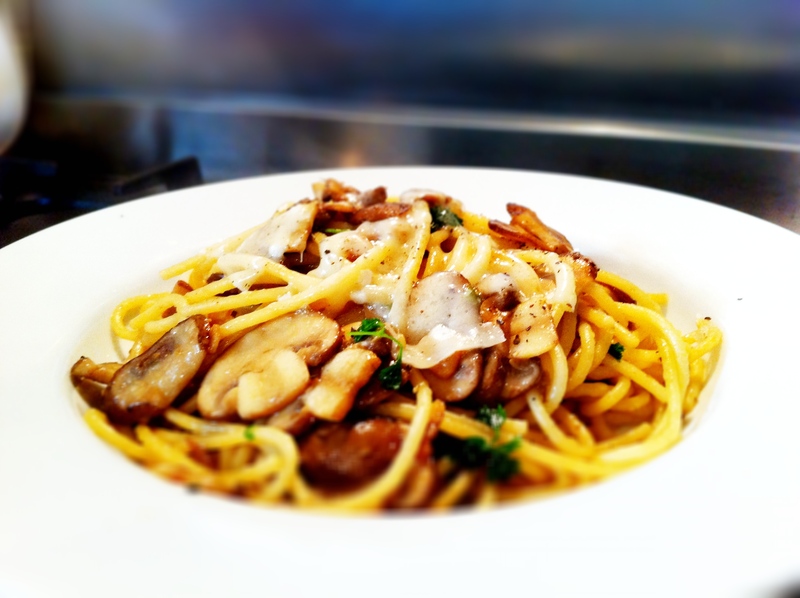 Turn the heat off and mix your pasta so it absorbs any of the mushroom/worchestershire sauce liquor. Season with more salt if needed. To serve, grate some fresh parmesan cheese and black pepper. You can vary this as well by throwing in a couple of cherry tomatoes sliced in half when you add the parsley. The heat will half cook the tomatoes enough to soften them and help them release their liquid, which will create an extra little bit of sauce for this dry pasta dish. Enjoy!